Weirdly, all my favorite long looks were walked by the same model. 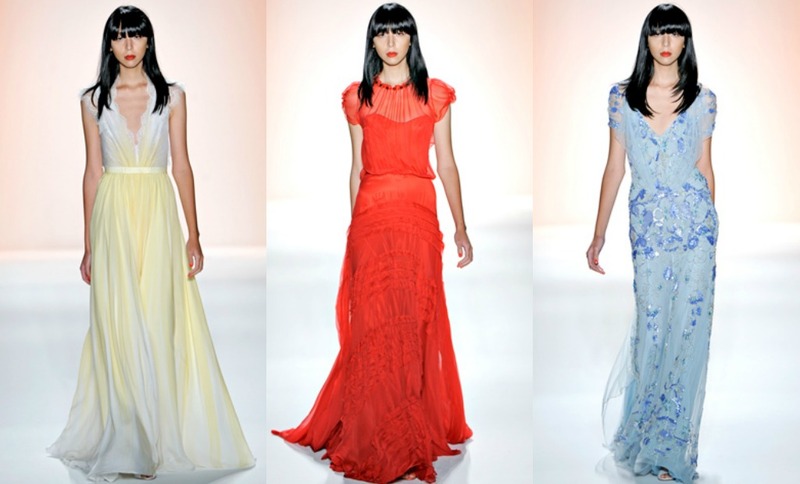 Jenny Packham continues to be one of my favorite designers when it comes to just plain gorgeous, girly dresses. I love the colors, especially the yellow ombre! I'm seriously fantasizing about all of these dresses. Jenny Packham is so amazing!